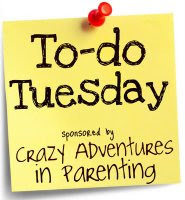 Well, today is my 10th ‘To-Do Tuesday’ post, so I feel the need to make it one that I will accomplish much. I have been super busy with getting the girls ready to go back to school, and taking on random projects around the house…so I am also including some fun stuff in my list. 1. 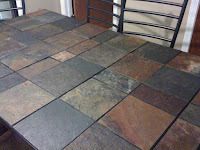 Finish cleaning tiles to dining room table & put back together. 3. Make menu for 2 weeks. 4. Make shopping list & gather coupons. 6. Take Grayson to the park to feed the turtles & walk the track. 7. Take time to read. 8. Get stuff ready for yard sale. You totally rocked it, way to go!! !